Muscle or tendon strain. Repeated activities can put strain on the muscles, tendons, and ligaments that support the hips. When they become inflamed due to overuse, they can cause pain and prevent the hip from working normally. Call your health care provider if your pain doesn't go away, or if you notice swelling, redness, or warmth around the joint. Also call if you have hip pain at night or when you are resting. You can't put any weight on your hip. You can't move your leg or hip. American Family Physician, Oct. 15, 1999. 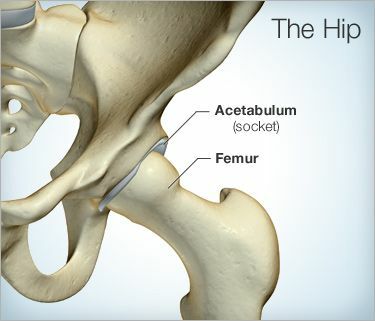 American Academy of Orthopaedic Surgeons: "Osteoarthritis of the Hip," "Inflammatory Arthritis of the Hip." Firestein, Gary S. Kelley's Textbook of Rheumatology, 2008.